I need to buy side mirrors for my Northstar HVAC crew. 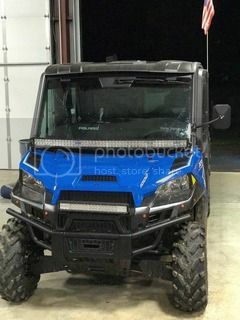 Wondering if anyone know which one I can buy that mounts to the frame with Polaris lock n ride doors. Sorry I can't help you but wondering what you think of your Northstar crew ?? We are loving it. We have not used the air conditioning yet but I look forward to it. I'm looking at adding side mirrors to mine as well. I ordered a set of aftermarket jeep mirrors that I think I can mount to the front a pillar post by drilling and tapping a couple of holes and mounting them up high. They haven't come in yet so I'm not 100% sure on the fit. The air conditioning is great. I've had ours out with it being in the upper 90's and you stay nice and cool. 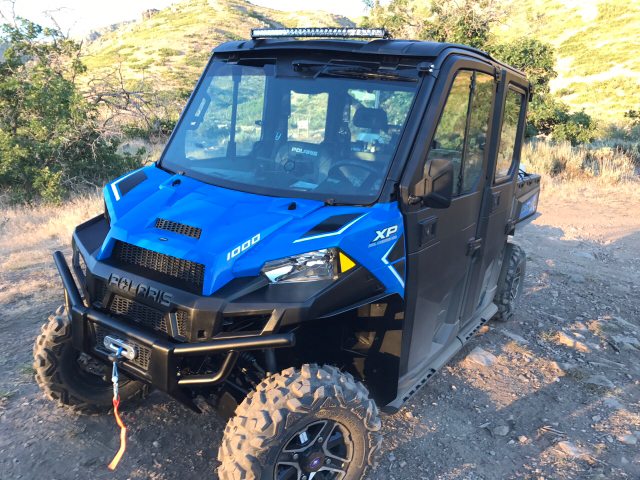 It's too early to tell on reliability but I've had good luck with Polaris on a Ranger 800 we have had for 6 years so I am hopeful. spring comes around. Even Polaris has some mirrors in this design... The cost about 50 or so bucks a set. Got the driver side on tonight. Were you able to get one on the passenger door that you could see out of? The Jeep ones I got work great on the drivers door but I haven't figured out a way to mount the passenger side that will clear the door opening and still see it. How did you mount your mirrors? If you could give me some advice that would be appreciated and what mirrors did you purchase? Thank you.